via PS3 Console on Flickr – Photo Sharing!. 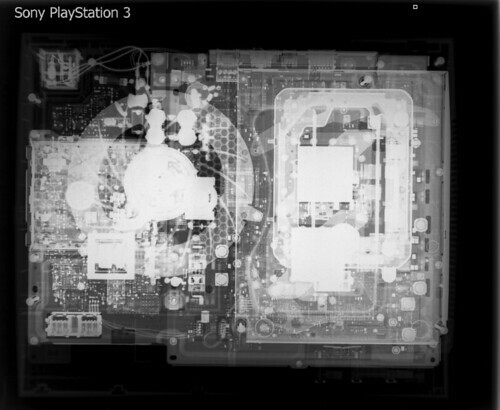 Yep – so this is an Xray of a PS3. Note the huge (260mm) cooling fan. Hit up the link to see more gaming consoles – SNES, Atari, Wii, Xbox 360, as well as their controllers! How about an epic PC versus console gaming smackdown, in the tradition of end-of-year numbers lists? via 15 Reasons PC Gaming Beats All – PC World. PC Gaming is just far superior to console gaming. Sure, while you don’t have to have to upgrade your console every 8-12 months to have a decent gaming PC, you can enjoy the benefits of all the things listed in the article.